Back in the ’80s and ’90s, he was one of them, yearning to connect with male role models. After the death of Jackson’s mother when he was 8, his father sent him to live permanently with his aunt in a tough Huntsville, Alabama, neighborhood. Jackson said that while he was growing up, it was his black coaches and teachers, especially those at Lee High School, who took an interest in him, pushing the budding football star on and off the field. He said that although he was not the most committed student academically, their investment paid off. With their encouragement, compassionate guidance and thought-provoking teaching, Jackson snagged the coveted quarterback spot on the Lee High Generals team. Just before graduation, the scholarship offers poured in. Jackson ended up playing quarterback as a true freshman for historically black Alabama A&M University before transferring to and graduating from Midwestern State University in Wichita Falls, Texas. At one point, Jackson said, he’d even caught the attention of Baltimore Ravens, Seattle Seahawks and Washington Redskins coaches, but his NFL aspirations were abruptly cut short when he injured his back while playing a pickup basketball game with a relative. Distraught but thankful for his business administration degree, Jackson eventually took odd jobs as a substitute teacher, lunchroom worker and security officer at public schools in his home state. A gig as a special education teacher’s aide ultimately helped him discover his passion and natural talent for teaching. He answered the call, completing his licensure and a master’s degree in early childhood education online, all while working two full-time jobs and coaching. Now he’s a teacher and head football coach at Discovery Middle School in Madison, Alabama. It’s not strictly anecdotal. A growing body of recent research asserts that Jackson’s presence as a black man in the classroom is both rare and critically needed in American public schools. To his point, a groundbreaking 2017 study co-authored by a Johns Hopkins University economist found that having just one black teacher in elementary school significantly increased a low-income black student’s likelihood of graduating from high school and considering college; for a very low-income black boy, the risk of dropping out was reduced by 39 percent. Jackson says he’s not surprised. When he’s not trying to build rapport with his students on the playing field as coach or in his career readiness and computer skills classes, he said, he attempts to do so by joking with them around campus. The interaction, he believes, helps them feel more positively about school, and they also tend to open up more about problems. 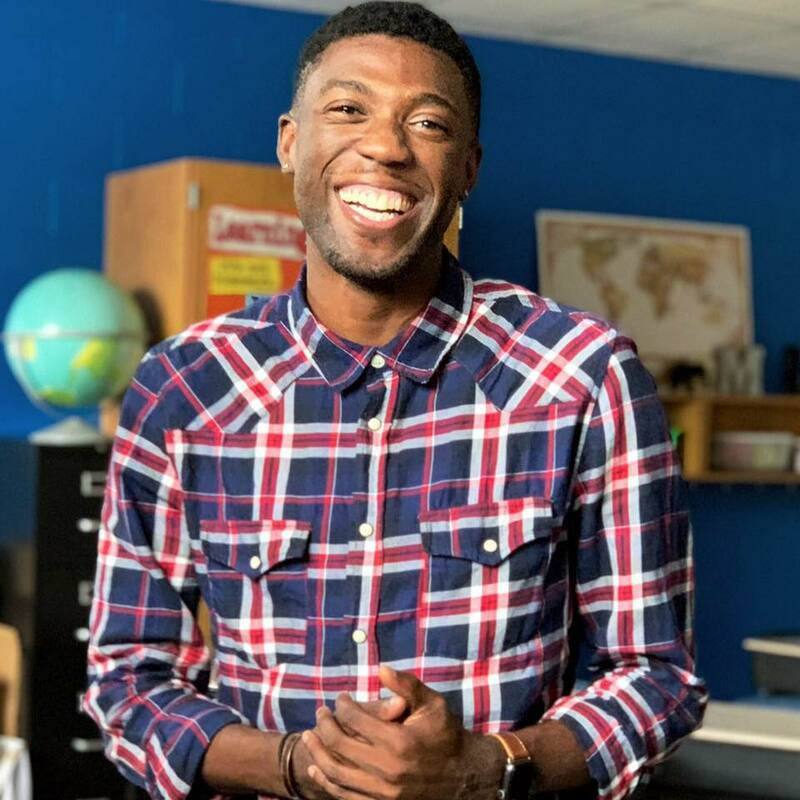 Charles King says those same feelings of support and camaraderie he received from the many black men in leadership at his virtually all-black middle school in Atlanta in the mid-2000s set a strong foundation for his education. He said he didn’t fully realize the impact of having so many strong black male educators at KIPP WAYS Academy until he attended an affluent, predominantly white boarding high school in Rome, Georgia, where there were just a few black male teachers. King said his experience at both schools inspired him to earn a bachelor’s degree in middle grades education. Four years ago, he returned to his middle school alma mater as a teacher. King says he feels very supported at his school (the KIPP charter school network is well-known for its diverse teacher workforce). However, many black male teachers nationwide, especially where there are smaller numbers, say for them, not so much. Many report feeling isolated, passed over for decision-making positions and forced into disciplinary roles, particularly for students of color. Research has also found that black teachers are disproportionately clustered in under-resourced schools with fewer opportunities for mentorship and professional development, which often contributes to burnout and high attrition levels. Vincent Cobb, Rashiid Coleman and Sterling Grimes are leading a Philadelphia-based program charged with changing that. The Fellowship: Black Male Educators for Social Justice was begun in 2014 with the objective of adding 1,000 black male educators, or “BMEs,” to city public schools by 2025. “We’re at 648; we started at 348,” said Coleman. The Fellowship also hosts regional and national gatherings for black male teachers from across the country for networking opportunities and access to job fairs, mentorship programs and professional development. The Fellowship is one of dozens of initiatives nationwide focused on recruiting and retaining black male teachers. For example, historically black Southern University of New Orleans’ Honoré Center for Undergraduate Student Achievement offers full scholarships in exchange for a two-year teaching commitment. With support from the W.K. Kellogg Foundation, the CSUN program will eventually expand its offerings to six urban campuses across California. In New York City, Mayor Bill de Blasio’s administration launched NYC Men Teach in 2015 after data showed that 85 percent of public school students were racial minorities but 60 percent of those teaching them were white. Arguably, the most well-known and long-standing initiative is Call Me MISTER at South Carolina’s Clemson University. Founded nearly 20 years ago, the program grooms black male high school students and teaching assistants for teaching careers, and it has since been expanded to other college campuses nationwide. Similarly, since 2017 the Washington, D.C.-based Branch Alliance for Educator Diversity program has partnered with historically black colleges and universities (HBCUs) to support black education majors. Still, many education experts say getting more black men, and men in general, interested in teaching must begin with dismantling the stereotype that it’s “woman’s work” or merely a low-paying, low-reward career. Rickey Wright, an assistant principal at Columbia High School in Decatur, Georgia, says pay is important but black men should also consider the power they would possess as teachers. 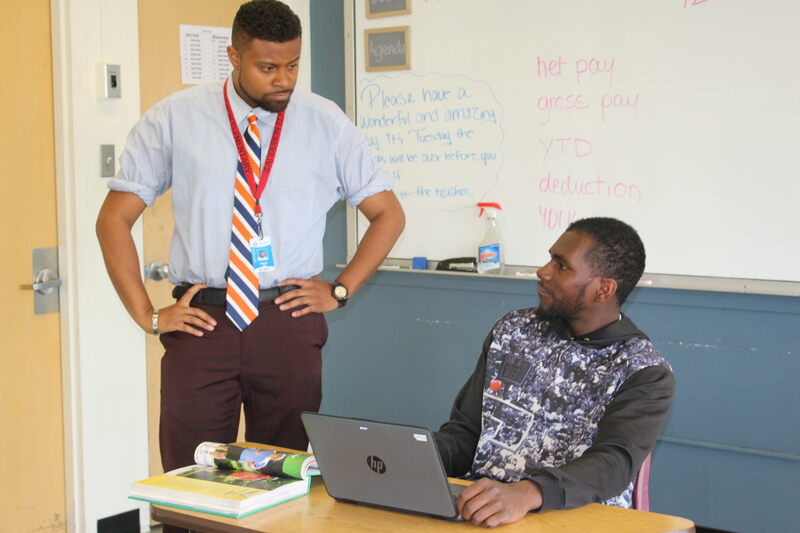 Drew Martin, director of the KIPP Cooper Norcross Academy in Camden, New Jersey, said better retention of black male teachers must include providing much-needed support. Black men represent about 13 percent of the teaching workforce at KIPP’s 11 New Jersey schools, which is about six times higher than the national average. He attributes much of that success to a Teacher In Residency program at many KIPP schools that pairs a new teacher with a “high-performing” veteran teacher for mentoring. Frank Lee, a black English language learner instructor at an alternative school in Colorado Springs, Colorado, agrees. He says it is up to members of the black community to step in and sign up to become teachers. It’s the only way, he said, to ensure that black children — and all children — receive a quality education. English language learner instructor Frank Lee mentors his student at an alternative school in Colorado Springs, Colorado. The Undefeated contributor Chandra Thomas Whitfield completed this report and accompanying video with support from the Education Writers Association Fellowship program.